If you have an autoimmune disease your healthcare practitioner, more likely, have recommended you to make some diet changes. Some would even recommend following the Paleo diet. However, even within the Paleo diet, there are some modifications that could make you wonder, which one you actually need. Autoimmune Protocol, or AIP Diet Plan, is a special type of the Paleo diet that targets specifically autoimmune diseases. Even though the Paleo diet is already quite a restrictive diet, it has been determined that certain paleo foods still may trigger inflammation in our bodies and be a cause of some autoimmune diseases. A complete elimination of these foods will allow our body to recover and feel better and healthier. 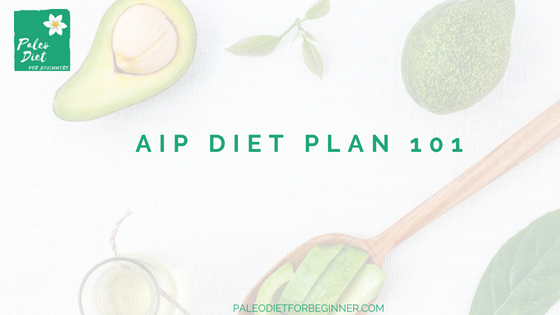 The purpose of this post is to familiarize you with the AIP basics, including some benefits, that the AIP diet plan may offer and foods that are excluded and, vice versa, encouraged to eat on the AIP. The AIP is an abbreviation for the Autoimmune Protocol. The term itself belongs to the originator of the Paleo Diet Dr. Loren Cordain, who found out that certain Paleo foods may still trigger inflammation and be a cause of certain autoimmune diseases. A lot of Paleo diet followers picked up the idea and further investigated this approach. For example, Robb Wolf in his “The Paleo Solution” also outlined this wave of the Paleo diet and named it ‘the elimination diet”. His idea is to eliminate certain foods for at least 30 days with re-introducing each one after and monitoring how your body will react. The AIP is definitely the strictest version of the Paleo diet. However, it was proven to be the most effective for people with certain autoimmune conditions. What Are The Benefits Of The AIP Diet Plan? The benefits of the AIP diet plan are endless, especially for people suffering from autoimmune conditions. Even though the diet plan is quite restrictive for certain foods, it will allow your body to heal, will nourish your body with proper nutrients and at the same time will offer you plenty of energy. A lot of people would notice that their energy level increased while following the AIP diet plan. One of the reasons for that is that the diet helps with decreasing inflammation happening in your body, that could also be a cause of an autoimmune condition. And if your body has fewer factors to fight with, it offers you more energy to spend. Is not it interesting, that some autoimmune diseases (sometimes called ‘diseases of the 21st century’) could be treated with just the diet change? However, as simple as it might sound, the diet change is one of the hardest decisions to make for some people. And one of the reasons for that is that a lot of us are emotional eaters. Though, understanding that some foods could actually be harmful to our bodies and, instead, teach ourselves to make better food choices could be a great way to cooperate with the emotional eating. Being a part of the Paleo diet, the AIP diet plan shares similar principles and foods. However, as it has been mentioned before, the AIP diet plan is a more restrictive diet, because it completely eliminates all foods that could potentially cause inflammation and trigger autoimmune disease. Here is the avoid food list for both diets. Even though the AIP avoid food list might look quite big, the AIP diet plan is, first of all, an elimination diet. In order for it to work, certain pro-inflammatory foods need to be eliminated for at least 30 days to allow your body to heal. Another purpose of the food elimination process is to understand what foods you are truly intolerant to. If you already have an autoimmune disease, that means that your body fights constant inflammation. So it is really hard for you to understand what foods could cause this state. Elimination of all potential inflammatory foods from the diet with further re-introduction (typically one food every five days) will help you listen to your body and at the end exclude the foods that are not meant for your body. What Foods Are Allowed On The AIP? Binders: grass-fed gelatin and arrowroot starch (watch the starch, however, if you have adrenal issues). As you can see there is plenty of food choices. And remember, that the elimination diet has a time frame, which means that once it is passed, you will be able to reintroduce AIP eliminated foods and basically follow the general Paleo diet. How Is The AIP Different From The Paleo Diet? The AIP diet plan has a lot in common with the Paleo diet. However, it also has some differences that allow distinguishing this diet from the Paleo diet. 1. How is the AIP similar to the Paleo diet? At the same time the Paleo Diet and the AIP target overall health increase by eliminating foods that cause inflammation in our bodies. By doing so, it allows our gut and whole body to heal, increase our overall health and well-being. 2. What are the main differences between the diets? Another difference is that the AIP is a short-term diet and should be followed for at least 30 days. The Paleo diet, on the other hand, is more of a lifestyle diet, which works perfectly as a maintenance program following after AIP. Also, the AIP has a very targeted approach. as it helps to eliminate foods that could potentially cause an autoimmune response. The Paleo diet does not target specific diseases but promotes overall health by eliminating foods that our bodies may respond negatively and cause inflammation. The Autoimmune Protocol, or the AIP, is a wave in the Paleo diet stream, that helps to control autoimmune diseases and allow your body to heal and recover without expensive medicine. It might look like a very restrictive diet for a lot of people and the transition might not be an easy one. However, thinking of what benefits the diet may offer especially for those who suffer from autoimmune conditions, may make this transition easier. Overall, both diet plans share similar health goals, such as decreasing inflammation happening in your body. But the AIP diet plan goes further and eliminates more food groups that could potentially cause an autoimmune response. The AIP diet plan is not a long-term solution. Give it a try for at least 30 days and you will feel the full benefits that the diet may offer. Once the AIP is finalized the Paleo diet could be a great continuation and a lifestyle to follow to feel great and be healthy. Atkins Diet Vs Paleo Diet - What Is The Difference? Diet Reviews, Product Reviews AIP avoid food list, AIP basics, AIP benefits, AIP diet plan, Autoimmune protocol, Autoimmune protocol basics, differences between AIP and Paleo diet. permalink. In the Paleo discussion, you have taken a someone confusing concept and really broken it down so it was easy to understand. Great information! My daughter has been discussing Paleo, so I am going to refer her here to this website. thanks! Indeed, the Paleo diet offers different modifications and sometimes it gets confusing which version will suit the best for your health goals. The AIP is a great example. A lot of authors get some food from the AIP mixed up with the Paleo diet ones. So it gets even more confusing for people who would like to make changes and follow the diet in a right way. We are happy to hear that our post made this confusion resolved in a certain way! This is very informative and easy to understand. I have a friend who is right into the Paleo diet and knows more in the subject. So thank you. We happy that this information would be valuable for you friend. 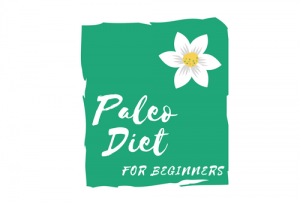 This is a great article that clarifies the main differences between Paleo and AIP Paleo. It all becomes very do-able, when having tried other diets, and the inflammation still exist. Since all diets take some hard work, we might as well go all the way, really eliminate all the inflammation triggering foods, despite how healthy some of them are, in order to get to the root of the problem. Thanks for all these insights, very useful to me, as I’m always working on my eczema warriors’ diet. You are right, in order to understand what food triggers inflammation, you would want to eliminate all possible triggers for at least 30 days and ‘clear’ your system. After that, you could slowly re-introduce certain food groups one at a time and monitor your body reaction. AIP is fantastic in treating so many autoimmune diseases the way that it allows your body to heal and also find out what foods cause the inflammation.